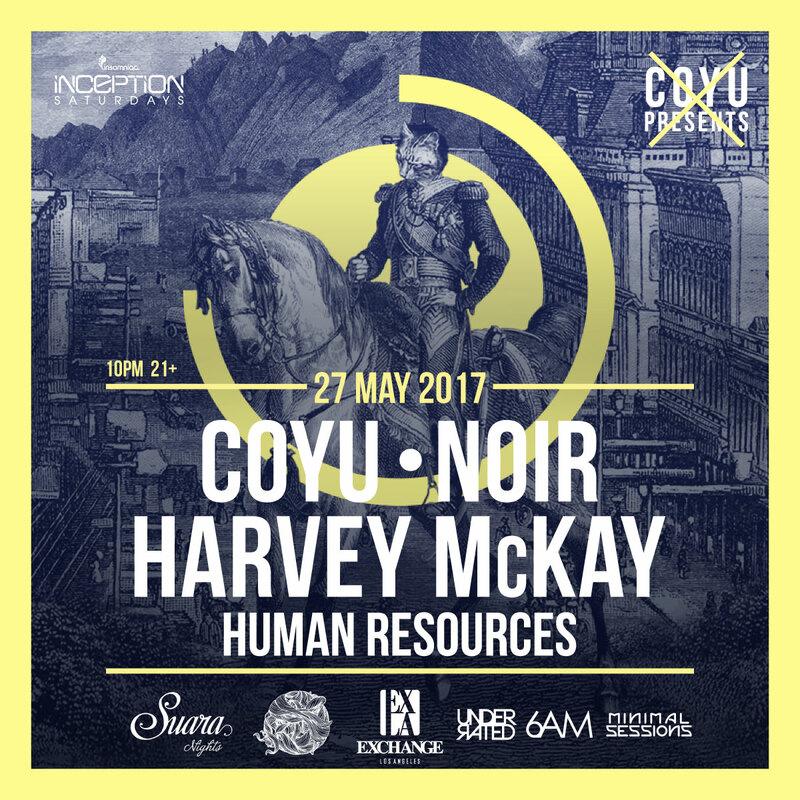 Saturday May 27th, 2017, Insomniac presents Inception: Suara Night ft. Coyu, Harvey McKay, Noir. Unfortunately Jay Lumen will not be able to perform at this event due to unforseen emergency circumstances. We wish him the best and look forward to having him at Exchange LA at a later date. Suara/Drumcode/Relief records artist, Harvey McKay, has been added to the event as his replacement.